Adelsheim Pinot Noir. 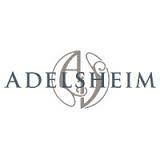 This is the least expensive of Adelsheim's Pinots, and the first release of the new vintage. Nonetheless it shows some muscle, with a sweet, smoky nose over grapey fruit. Forward and appealing, with a tannic and quick finish. Mountains.The Adelsheims had dreamed of planting a vineyard in the area since returning from a summer in Europe, where they were inspired by thehand-made foods and wines they encountered.1972 In 1972, the Adelsheims began planting their original 15-acre vineyard at Quarter Mile Lane with Pinot noir, Chardonnnay, Pinotgris, and Riesling. Relying on family and friends for assistance, they battled weeds, mildew, birds and deer and the widely perceived futilityof growing wine grapes in northern Oregon's cooler climate.1978 Working in a cramped basement winery with a simple crusher and press, and 20 Burgundy barrels, David Adelsheim made our first1,300 cases of wine for commercial release in 1978; tiny quantities of Pinot noir, Chardonnay and Riesling from the estate vineyard wereproduced, along with Semillon and Merlot from purchased grapes. As the Quarter Mile Lane vineyard matured to full yield and grapes werepurchased from other growers, annual production doubled every two years.1982 As Adelsheim Vineyard continued to grow, the need for a new production facility became critical. A 6,000 square-foot winery,adjacent to the Adelsheim's home, was built in 1982. Barrels, tanks, a bottling line and still more barrels were added until this winery wasalso filled to capacity.1989 The first vineyard expansion was in 1989, with the lease of a 19-acre site across the road from the original estate vineyard at QuarterMile Lane. Today, Bryan Creek Vineyard is an important source of Pinot noir, Pinot gris and Pinot blanc.